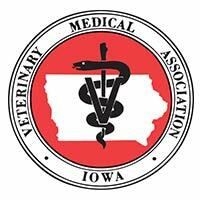 The veterinarians at Iowa Veterinary Wellness Center are trained in the rehabilitative medical therapy known as veterinary prolotherapy. Veterinary prolotherapy, also known as non-surgical ligament reconstruction, is a valuable tool for those pets that have suffered from ligament or tendon damage. Prolotherapy involves an injection, usually of a mixture of medications, into the affected area or joint. The medications most commonly contained in the prolotherapy compound are geared towards pain relief, ligament and tendon reconstruction and regeneration and to generate faster healing. The solution causes the growth of new connective tissue, helping to stabilize the joint and provide relief from pain. The injection is actually a series of injections, performed once every three weeks for a total of five treatments. Prolotherapy has been around for a while, having been used in human rehabilitative medicine for over 35 years. The side effects are minimal and are usually localized to area soreness and potential bruising. This usually only lasts for one to two days following the treatment. Prolotherapy should not be seen as a replacement for surgery; some pets would not be considered candidates for this type of medical procedure. 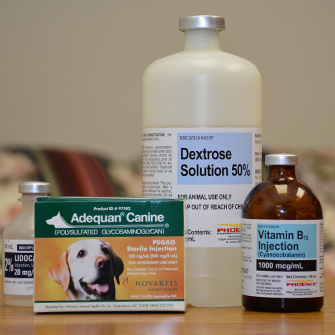 Careful evaluation performed by one of our veterinarians as well as a thorough consultation will help you to decide what is best for you and your pet. Please call us to learn more about prolotherapy, or to schedule an appointment for a consultation with one of our veterinarians.